How can one detect (using formula) if there is a significant change in the magnetic field so as to differentiate between the device being in motion and the device being still. As you can see, there are intervals over which the norm of the magnetic field is relatively constant (from 50 to 100 and around 130). Given we have not much additional information on the underlying physical process, the most reasonable thing to do seems to me to just look at some moving variances (see for instance here, here, here, here). What I mean is that you fix some window timeframe and look at how much the data oscillates in that window. 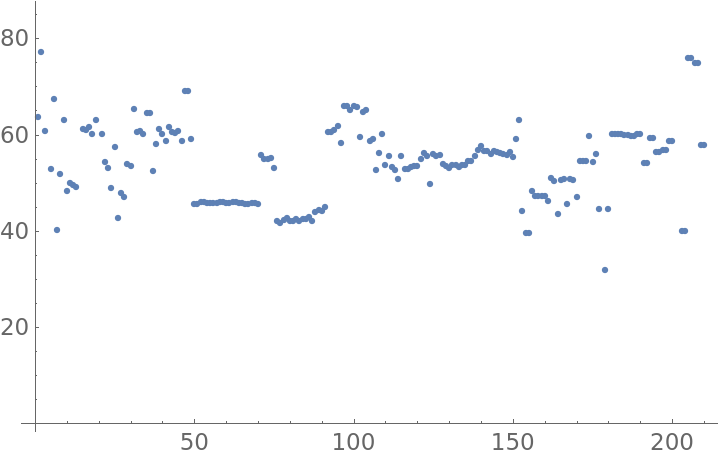 If the oscillation is sufficiently low, then the field you are measuring is almost constant in norm, which could mean that you are almost stationary. Not the answer you're looking for? Browse other questions tagged data-analysis descriptive-statistics scoring-algorithm or ask your own question. Is Principal Component Analysis applicable to this type of situation? Slightly convoluted problem I need help solving involving the percent change formula.